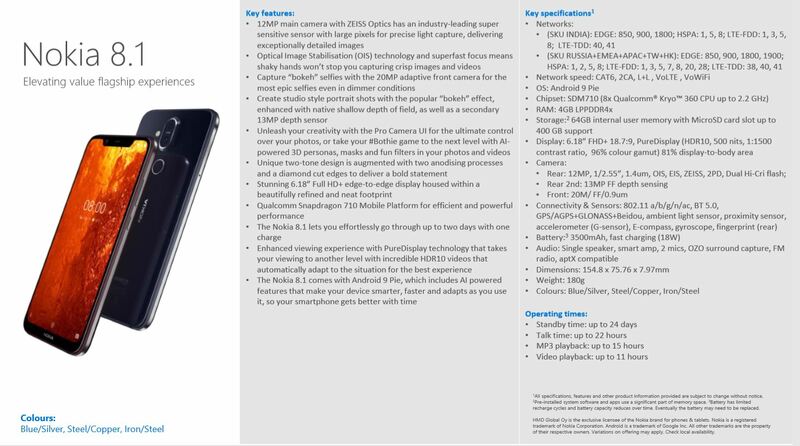 The local PR team of Nokia Mobile provided to us the data sheet for the newly launched Nokia 8.1. Data sheets are useful because they usually feature all the specifications of the phone and have the networks specs for different versions/markets, so users can be sure if a Nokia device bought in Europe will work on their trip to US or something in that sense. 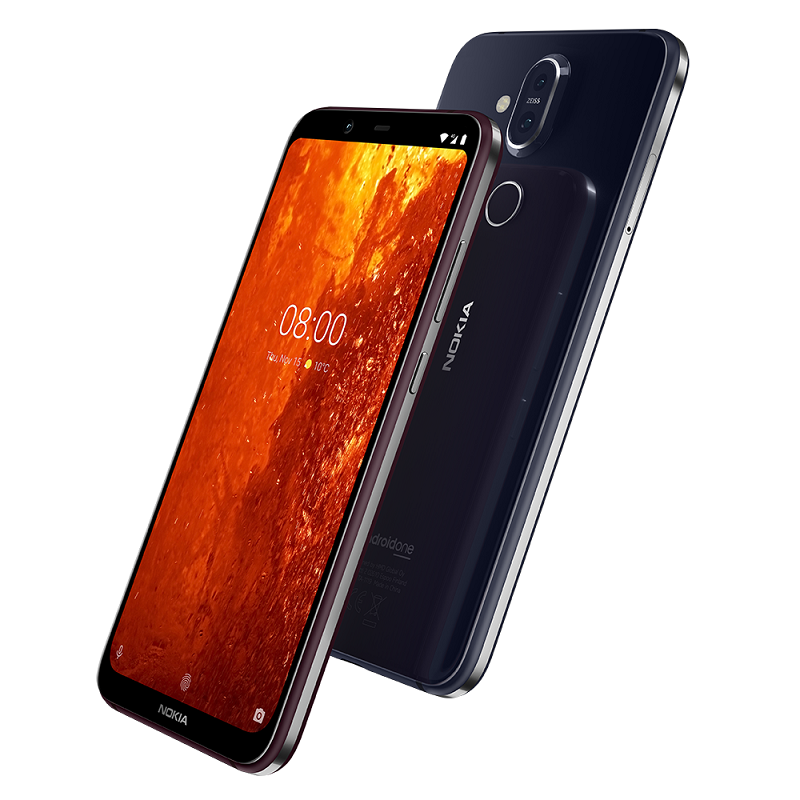 Some things HMD didn’t mention (or I missed it) about the Nokia 8.1 is that is has 2 mics for OZO surround capture, an FM Radio, it’s aptX compatible and out there are two SKUs – one for India and the other for markets of Russia, EMEA, APAC, Taiwan and Hong Kong. You can check in detail on the data sheet what network bands are supported on the SKUs. For some reason there aren’t many hands on videos of the Nokia 8.1, and it is strange that big media like GSMArena, Engedget or TheVerge don’t have hands on videos published. Some European publications that were present at parallel local events posted their hands on videos and we covered that here.